Clinton has worked as a marine scientist and marine and freshwater technical support officer for the Department of Conservation since 1989. 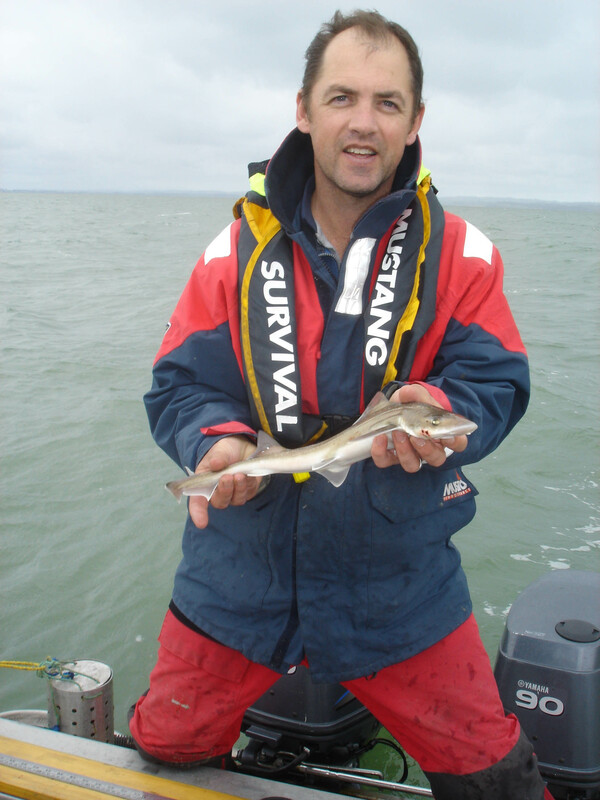 At present he is employed as a scientist with the Marine Conservation Team and is based in Auckland. His areas of expertise include the classification and biology of chondrichthyan fishes (sharks, rays and chimaeras), marine ecology (particularly temperate subtidal rocky reefs), marine habitat survey and mapping, and marine protected area design and monitoring. He has over 20 years experience as a scientific diver and small boat operator. Current research projects include regional connectivity and population monitoring of great white sharks (Carcharodon carcharias); taxonomy of spiny dogfishes (Squalus spp.) and smoothhound sharks (Mustelus spp. ), investigation of marine fishes as indicators of ecosystem integrity; and population connectivity of rocky intertidal invertebrate populations. In November 2004 he participated in a private expedition to Raoul and Macauley Islands, and in 2007 formally described the Kermadec spiny dogfish (Squalus raoulensis) in collaboration with Peter Last (CSIRO). He maintains an ongoing interest in the marine ecology of the Kermadec Islands, and has developed an annotated checklist of all marine organisms recorded from the Kermadec Islands Marine Reserve and north Kermadec Ridge. I intend to estimate the abundance of spotted black grouper, Galapagos sharks and other large reef fishes living around the Kermadec Islands. This information will be used to monitor the spotted black grouper inhabiting the Kermadec Islands Marine Reserve and investigate the relationship between large predatory fishes and the species they may be feeding on. I am also hoping to collect specimens of deepwater sharks and skates, particularly the Kermadec smoothhound and Kermadec carpet shark. Both of these small bottom-living sharks are new to science and more specimens are needed so they can be formally described and named. I will also be making representative collections of sea weeds, and collecting biopsy samples from spotted black grouper and Kermadec bottlenose dolphins. The Kermadec Islands Marine Reserve forms part of a network of marine protected areas managed by the Department of Conservation. I have more than 20 years experience conducting dive surveys of inshore habitats throughout New Zealand, including an expedition to the Kermadec Islands in November 2004. Following that expedition I described a new species of spiny dogfish from the Kermadec Islands and am currently working on descriptions of new species of smoothhounds from the oceanic ridges north of New Zealand with Malcolm Francis. As well as my knowledge of New Zealand’s elasmobranch fauna I have a general interest in all marine groups and can identify around 300 species of common marine plants and animals. I also maintain a database of marine species recorded from the north Kermadec Ridge. A large part of my day to day work involves providing advice on the conservation of marine species, particularly fishes. I am also the joint leader of a research project on the conservation biology and movements of great white sharks with Malcolm Francis, NIWA. This involves satellite tagging of great white sharks at a variety of locations around New Zealand, as well as photo-identification of great white sharks at Stewart Island. Some of these sharks migrate along or close to the Kermadec Ridge. I am also involved in taxonomic research on New Zealand sharks, and am currently in the process of describing several new species of smoothhounds and a spiny dogfish. This involves long hours making detailed examinations of museum specimens.